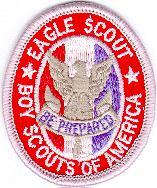 Troop 33 DeKalb, Illinois grieves the loss of Eagle Scout Kent Isaac Bergren. Kent Bergren was born June 18, 1956, at Highland Hospital, Belvidere, Illinois. He was the fourth of five sons to Louis and Vera (Hughbanks) Bergren. 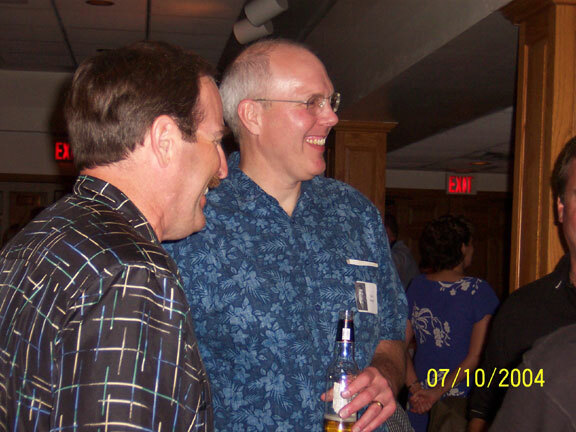 Kent Isaac Bergren, formerly of DeKalb, passed away suddenly Tuesday morning, Feb. 8, 2011, at his home in Park Ridge, Ill.
Kent was born June 18, 1956, at Highland Hospital, Belvidere, Ill., fourth of five sons to Louis and Vera (Hughbanks) Bergren. He was a member of the First Lutheran Church in DeKalb, confirmation class of 1970. He graduated from DeKalb High School in the class of 1974. He was an Eagle Scout. He attended Northern Illinois University for one year and graduated from the University of Illinois in 1978. He received a Masters of Business Administration degree from the Kellog School of Business Management of Northwestern University. He was employed first with Illinois Bell, then continued with the company as it became SBC and now ATT. He married Teresa Mark on July 14, 1984. Upon marriage, he joined his wife, Teresa, in the Catholic faith. 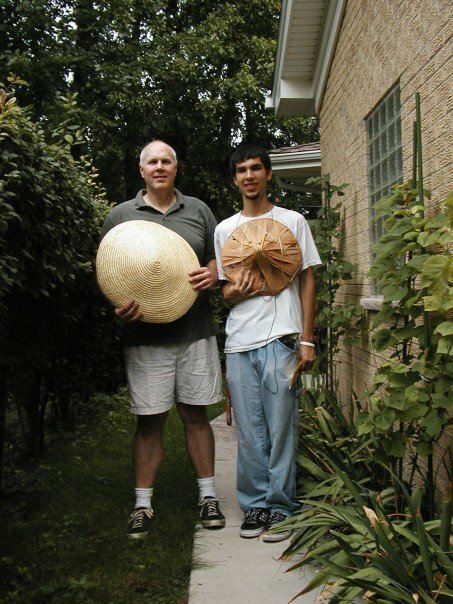 Kent was active in many community activities of Park Ridge, including boy scouts and music boosters with his children. He served on various school district committees with a special emphasis on financial planning. He was an avid gardener. He enjoyed attending many sports and music events involving his children. He was an enthusiastic Illini and Northwestern fan. Kent is survived by his wife, Teresa of Park Ridge,; son, Dan, of Champaign; daughter, Stephanie, of Evanston; and his mother, Vera Bergren, of Naperville. He is also survived by his brothers, Charles (Chuck) (Martha Dewey) Bergren, of Appleton, Wis.; Bruce, of Homewood, Ill.; Mark (Susan Hain), of Naperville; and Craig, of Schaumburg. Private funeral services were held Friday, Feb. 11, at Nelson Funeral Home in Park Ridge. Kent began his Scouting adventures in DeKalb, Illinois as a Cub Scout in Pack 115 sponsored by Glidden School PTA. He joined Boy Scout Troop 33 sponsored by First Lutheran Church in 1967. Kent was an 11-year-old boy who was very excited about becoming a Boy Scout. 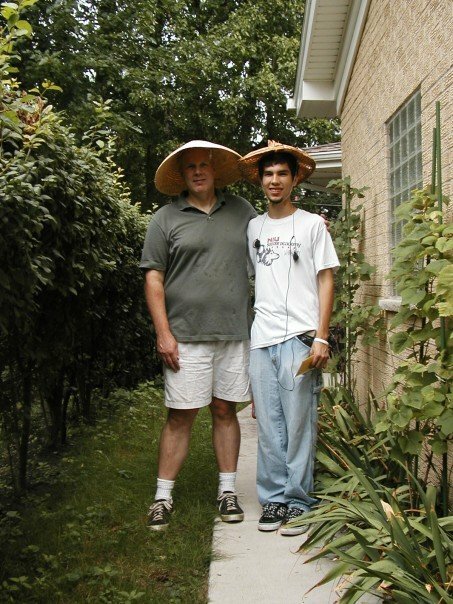 Kent was a quiet caring person who always saw the most positive elements in any situation. He loved camping and believed in the ideals Scouting stood for. He was a very active Scout rarely missing a single event. He enjoyed years of summer camp in Wisconsin. He attended Chin-Be-Gota Scout Reservation near Birnamwood, Wisconsin in 1968, 1970, and 1971. He attended summer camp at Chief Shabbona Wilderness Camp (aka Camp Little Archie) near Lakewood, Wisconsin in 1969. It was near Kent's 17th birthday that his Scoutmaster, Harold A. Snow, died during a camping trip. That was very devastating for everyone in the troop. 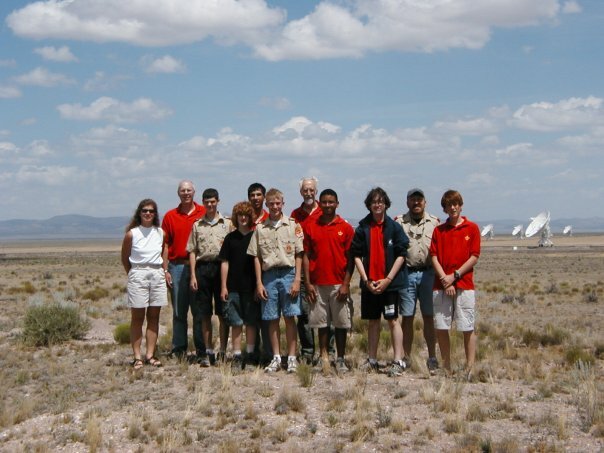 Kent worked with two other Scouts to telephone troop members to inform them and arrange attendance at the funeral. 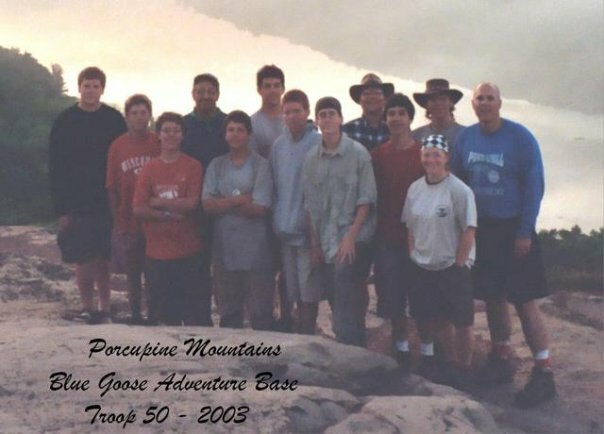 Kent continued with Scouting, serving as Senior Patrol Leader of Troop 33. His leadership kept many boys active and interested in the Scouting program. Kent was presented the Eagle Scout Award in 1974.
all of them Troop 33 Eagle Scouts. Kent's first high adventure took place on the other side of the world. 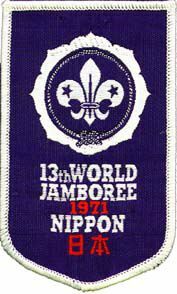 Kent and his older brother Mark attended the 1971 World Jamboree held near the base of Mt Fuji at Asagiri Heights, Japan. There were about 24,000 Scouts from 87 countries in attendance. The Jamboree's theme was: "For Understanding". 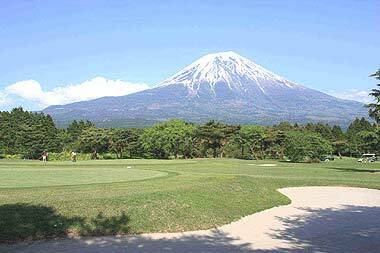 Many varied activities in camp were made colorful with oriental decor all set against the background of a towering Mount Fuji. It was perfect weather at the start and finish of the Jamboree, but right in the middle of the event a typhoon hit causing severe flooding in several sub-camps. 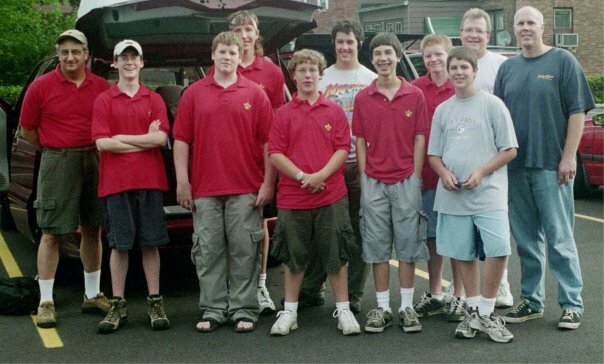 Kent was among 16,000 Scouts that had to be evacuated for 48 hours. The Japanese provided emergency housing with some excellent hospitality. A disaster turned adventure made the 1971 World Jamboree an even more unforgettable experience for Kent. 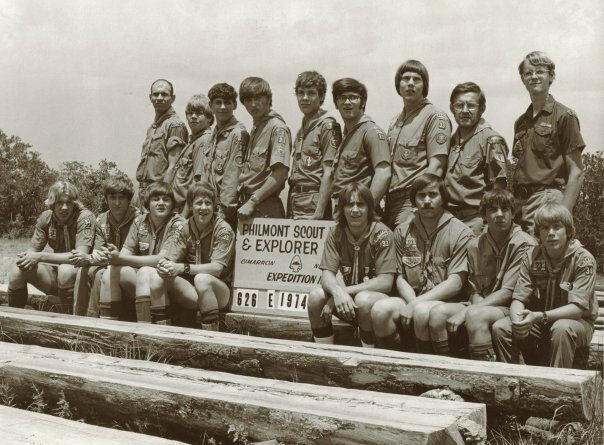 Philmont Scout Ranch 1972 - Kent is in the back row the first person from the left. 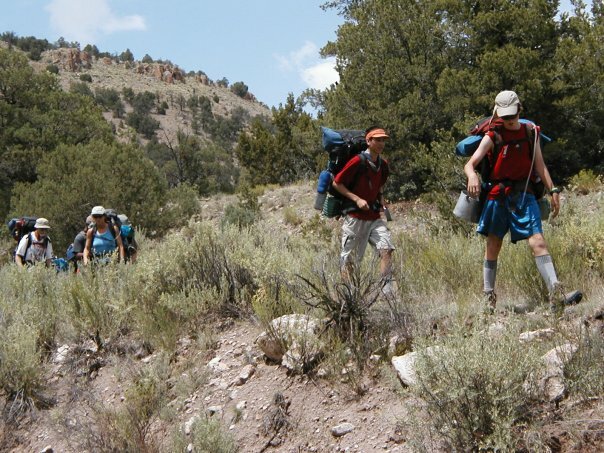 Kent's backpacking experiences started with trips to Philmont Scout Ranch in New Mexico in 1972 and 1974. He hiked across mountains and canyons to elevations above 12,000 feet. 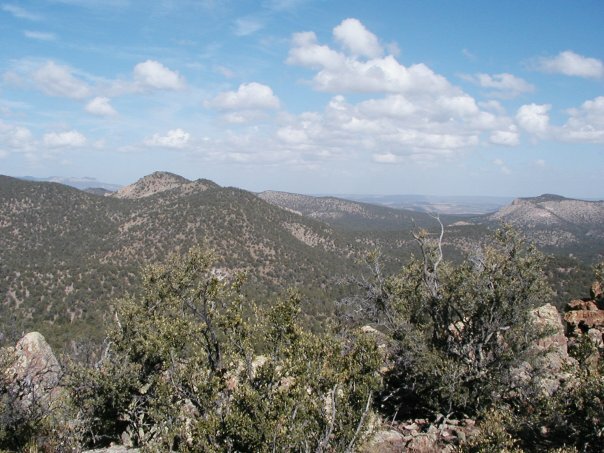 He enjoyed activities such as horseback riding, rock climbing, logging, spar tree climbing, a gold mine, burro packing, etc., with sunrise climbs to the top of Baldy Mountain on both trips plus a climb up the Tooth of Time in 1974. These backpack treks were back in the days of canvass tents and heavier equipment. top left photo:Philmont's Tooth of Time. 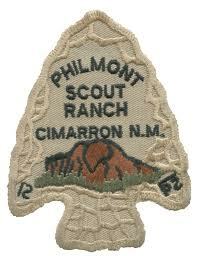 Right: Philmont Arrowhead patch. 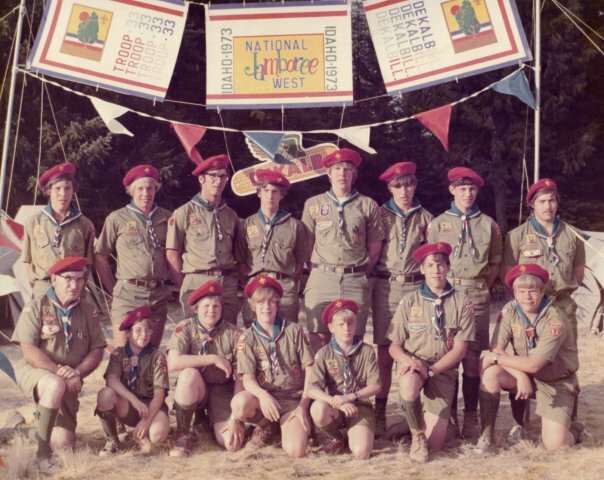 Bottom: Philmont's Baldy Mountain 12,441 ft.
National Scout Jamboree 1973 - Kent is in the back row the fourth person from the right. 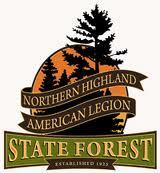 In 1973 Kent served as Senior Patrol Leader at the National Scout Jamboree held at Farragut State Park in Idaho. 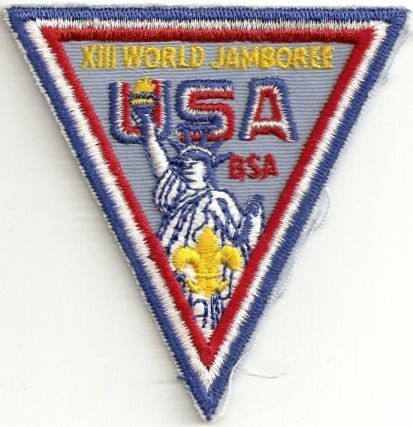 Over 28,000 Scouts from across the nation camped together taking part in an array of various activities with an opening arena show hosted by Bob Hope. One highlight was a side hike up a nearby mountain. The Jamboree was an incredible experience. 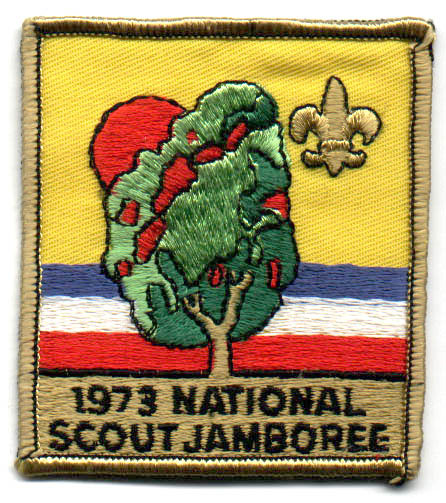 National Scout Jamboree 1973 was held at Farragut State Park in Idaho. 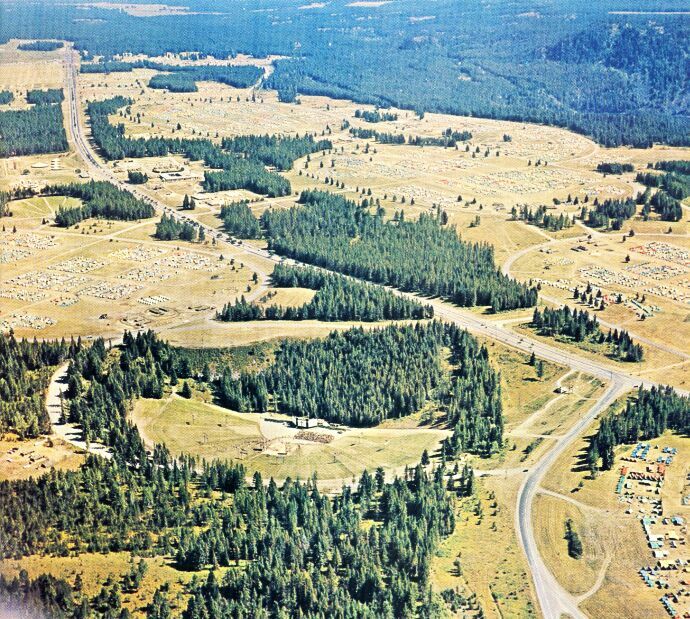 This aerial photos shows some of the physical layout where over 28,000 Scouts camped. 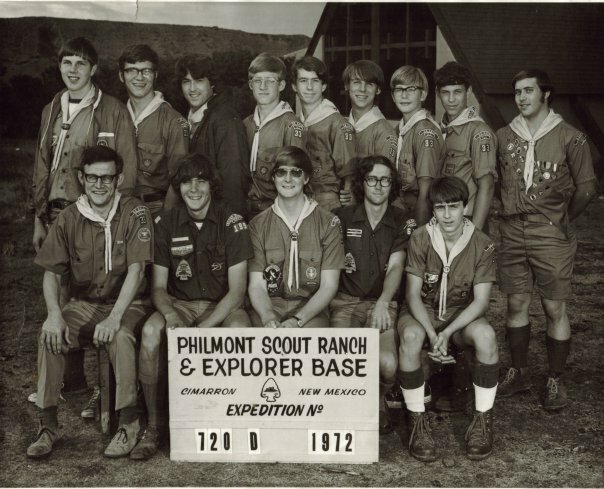 Philmont Scout Ranch 1974 - Kent is in the back row, the third from the right. 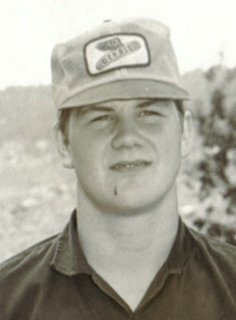 Kent returned for a second expedition at Philmont in 1974. 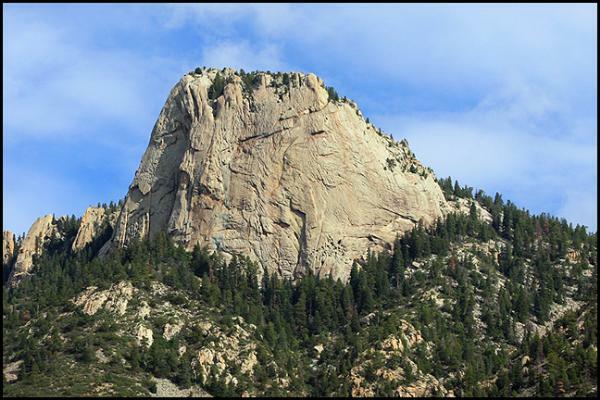 He served as Crew Leader for the trip which included a climb up Mt Baldy as well as the Tooth of Time. Special permission was granted for the crew to backpack with 16 members. Normally crew sizes were limited to 12 people. 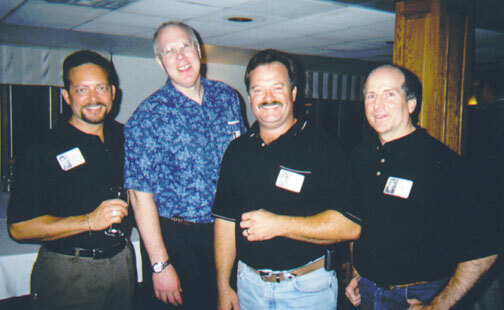 Jerry Thomas, Cliff Golden, with Kent on the right. 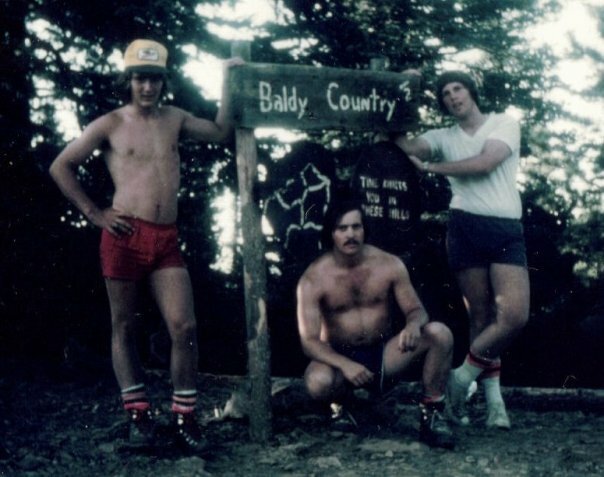 Kent served as Assistant Scoutmaster on a week-long canoe trip in northern Wisconsin in 1975. 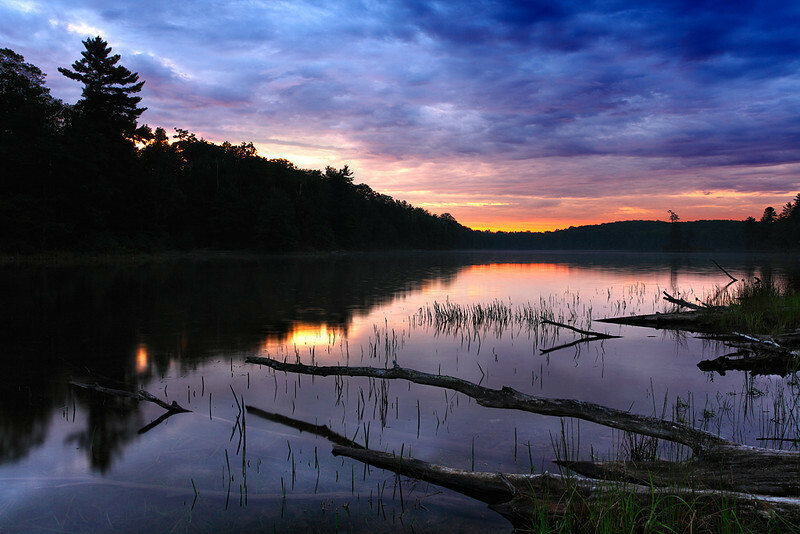 Canoeing in the Northern Highland American Legion State Forest, began in Boulder Junction and paddled fifty miles through various lakes to Sayner, Wisconsin. The route included: Boulder Lake, Manitowish River, Little Rice Lake, Fishtrap Lake, Nixon Lake, Partridge Lake, Ballard Lake, Star Lake and Plum Lake. 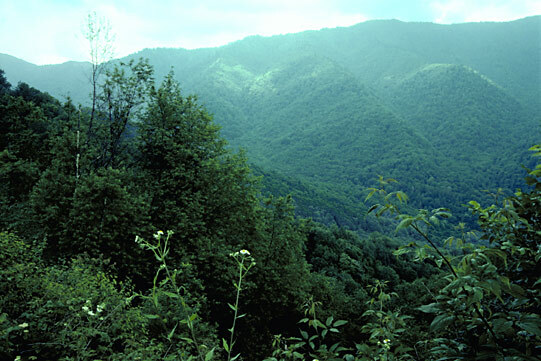 In 1977 Kent participated as Assistant Scoutmaster on Troop 33's Great Smokey Mountains backpack adventure. The trip started with a visit to Mammoth Cave National Park. 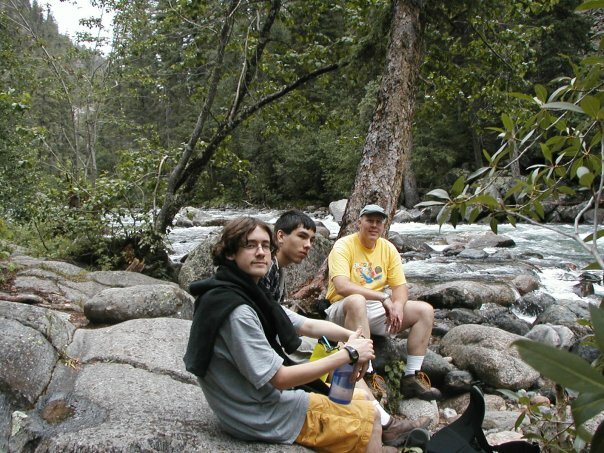 The highlight was an ill fated backpacking trip into the Great Smokey Mountains. One fateful night 8-inches of torrential rain poured out of the sky. It rained all night and into the morning. 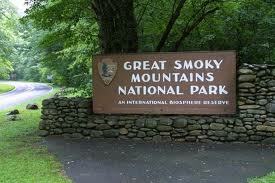 This caused an emergency closure of the Great Smokey Mountains National Park. Some people stranded in secluded areas were rescued by helicopter. The Scouts of Troop 33 loaded heavy water soaked gear and braved the flooded backcountry hiking to safety. The safe place was Cades Cove. 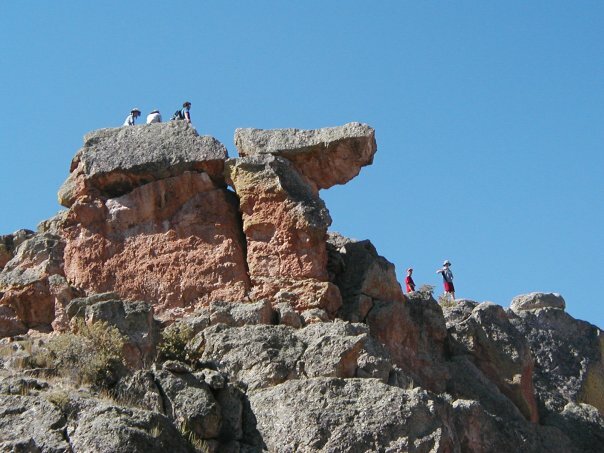 It became a unique camping experience since large numbers of skunks also sought safety in that area. Skunks were wandering everywhere. It was later learned Elvis Presley had died the night of the storm. The eight inches of rain, teardrops falling from heaven? 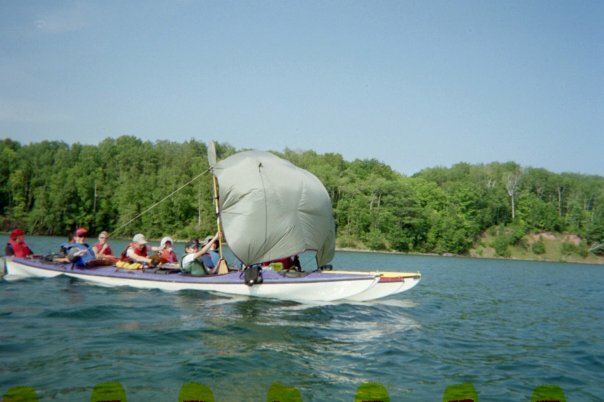 Land Between the Lakes in Kentucky became an alternate backpacking location. 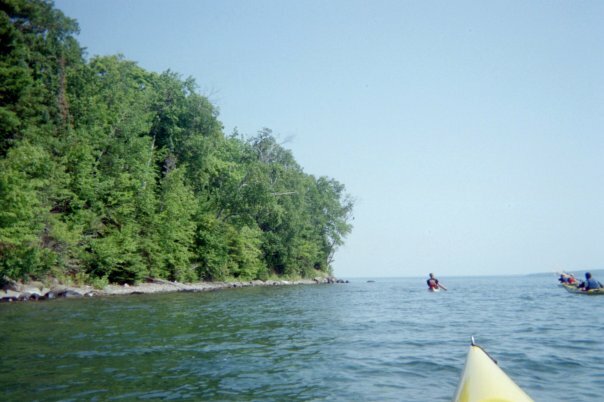 The North South Trail follows the eastern shore of Lake Kentucky. A 27-mile trail section linked Twin Lake to Golden Pond. Heavily wooded hills proved to be hot and humid in August. Camping along the lake's bays allowed a cool swim at the end of each day. Unfortunately, arrival at Land Between the Lakes coincided with the start of Squirrel Season. Each morning the group was awakened by the sound of shots firing at furry animals in trees. The hunting subsided around noon. Hiking began then, in the worst heat of the day. It made end-of-day swimming that much more rewarding. The adventure ended with camping in Shawnee National Forest in southern Illinois. 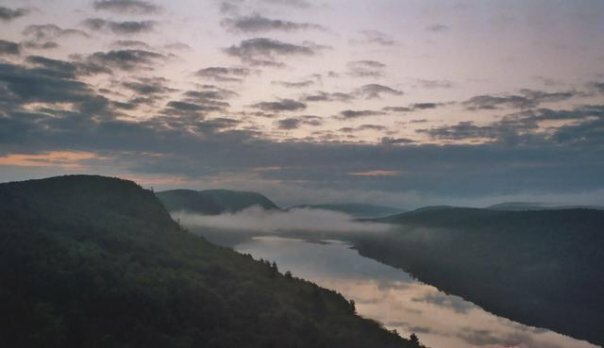 Overlooking Lake in the Clouds at the Porcupine Mountains. 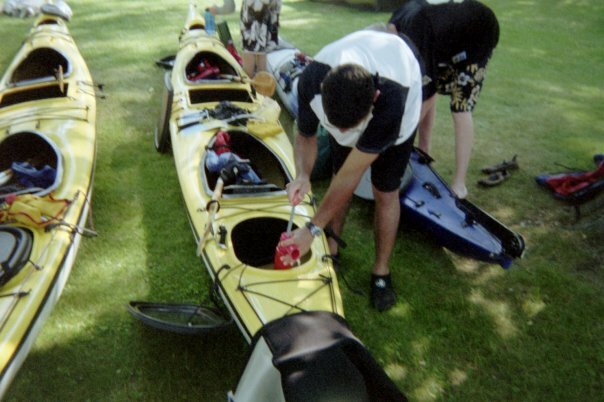 Getting kayaks ready for the trip. Making use of the wind with a tarp. 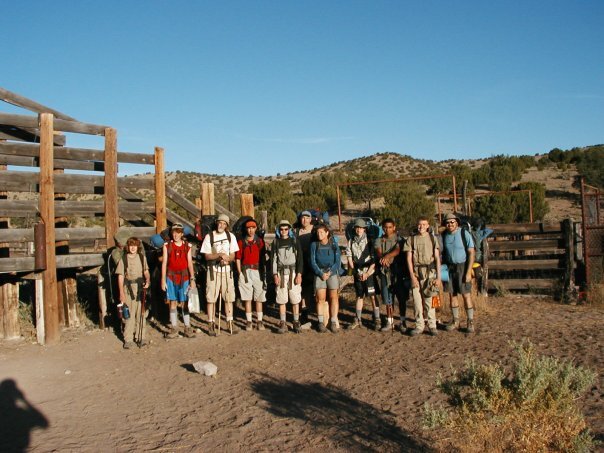 Troop 50 group at Double H Ranch. 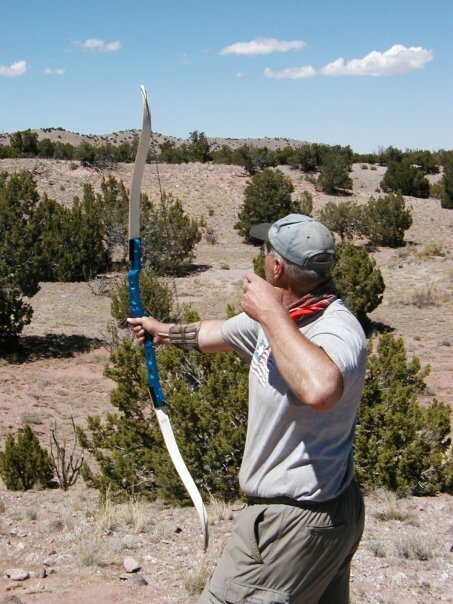 Kent displays some archery skills. High atop a scenic lookout. 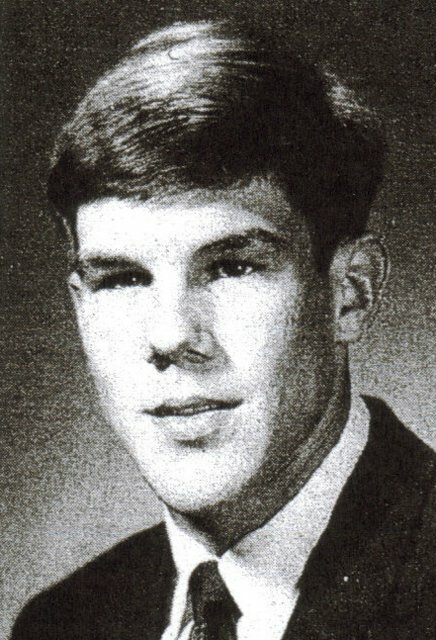 Kent graduated from DeKalb High School in 1974. 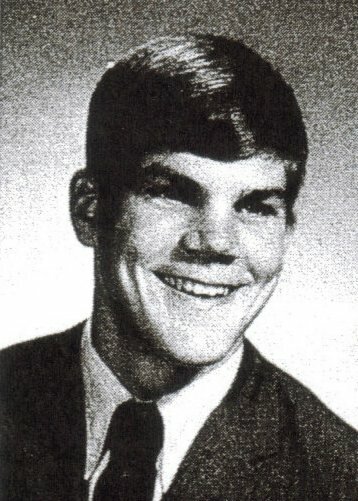 He attended Northern Illinois University for one year before transferring to University of Illinois where he earned a BS degree in 1978 double majoring in Mathematics and Computer Science. Kent attended Northwestern University Kellogg School of Management where he earned his MBA. Kent worked as PRINCIPAL TECHNICAL ARCHITECT for AT&T. Kent's employment began first with Illinois Bell, which through the years has changed in name through mergers. 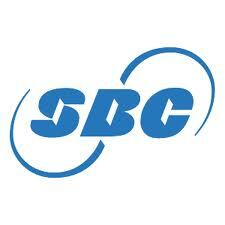 He continued with the company as it became known as SBC Communication. The most recent company name change was to AT&T. Kent was known widely for his intellect and kind manner. His patience, understanding and faith gave him a solid foundation to work through any kind of situation. CLICK HERE to read a blog by writer B.A. Binns regarding Kent in the work place, followed by a number of comments. 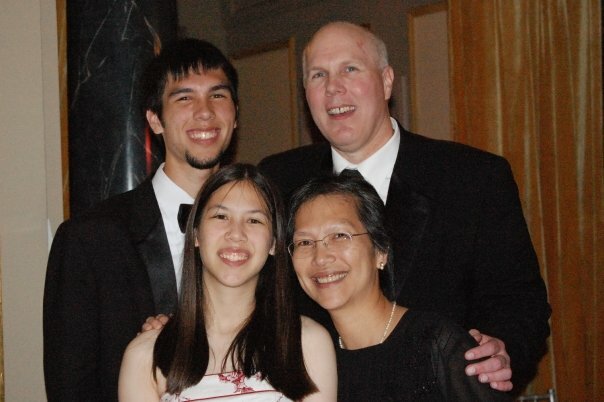 Kent and Terri, two amazing people, who brought two amazing children into this world, Daniel and Stephanie. 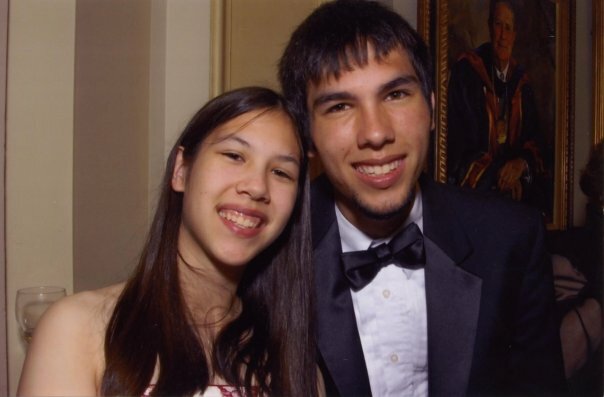 Daughter and son, Stephanie and Daniel. Both Stephanie and Daniel are highly intelligent and multi-gifted. Mathematics and music are two things they both share at an exceptionally high level. 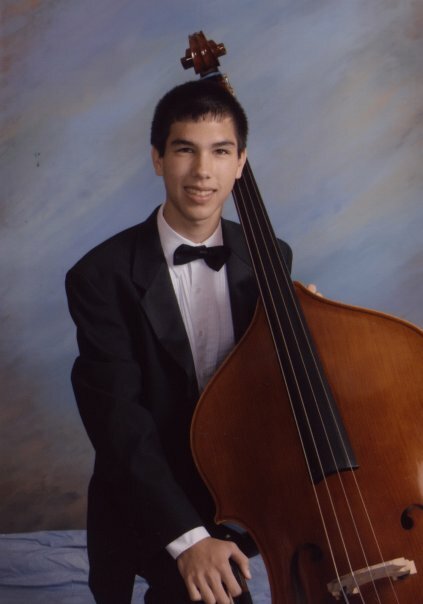 They were involved as musicians with Midwest Young Artists. Daniel plays bass and Stephanie plays trumpet. 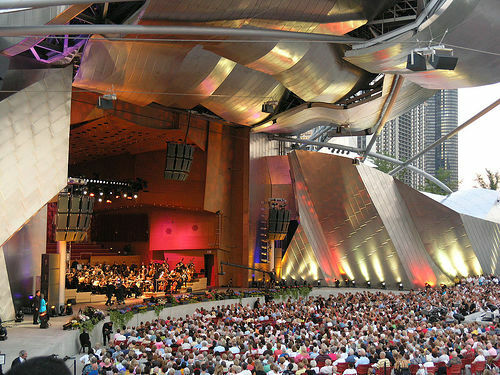 Both Daniel and Stephanie have performed at the Pritzker Pavilion at Millennium Park in Chicago. 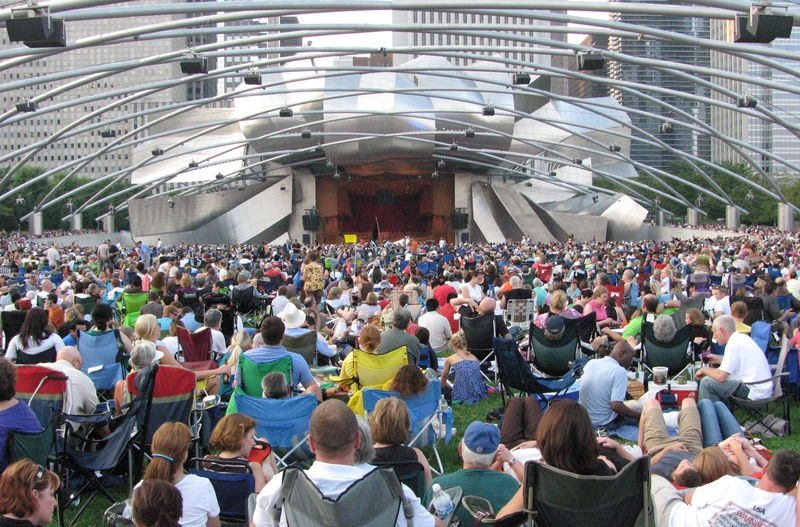 Pritzker Pavilion at Millennium Park in Chicago. 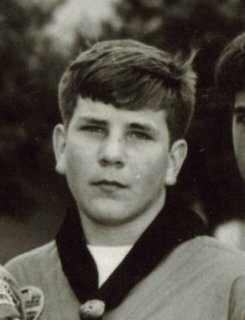 The Midwest Young Artists organization dedicated a blog to Kent's memory for his unselfish service to the organization. 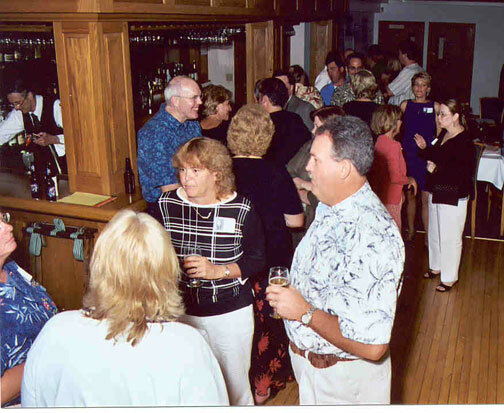 You can click here for the Midwest Young Artists blog in Kent's memory. Hats on - Hats off. Daniel graduating from University of Illinois. 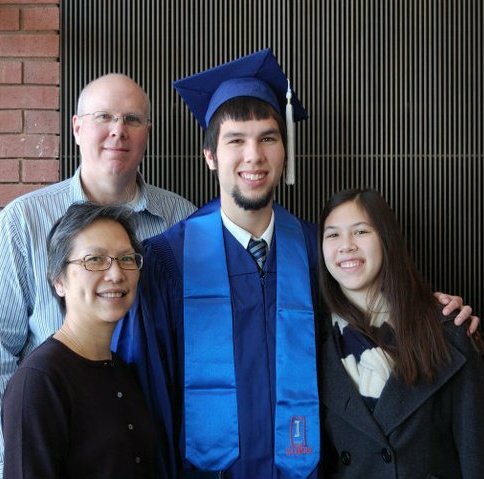 Daniel graduated from the University of Illinois, Class of 2010 with a BS in Mathematics and Informatics. He graduated in 3.5 years. Kent, Stephanie, and maternal Mark grandparents. 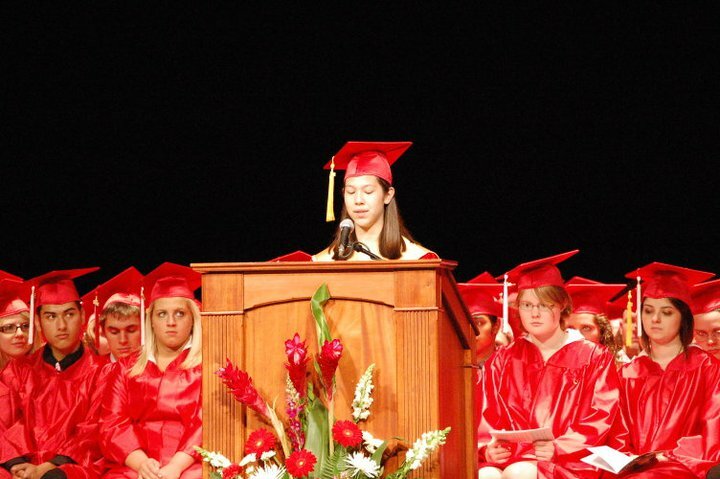 Stephanie making a speech before her graduating class. 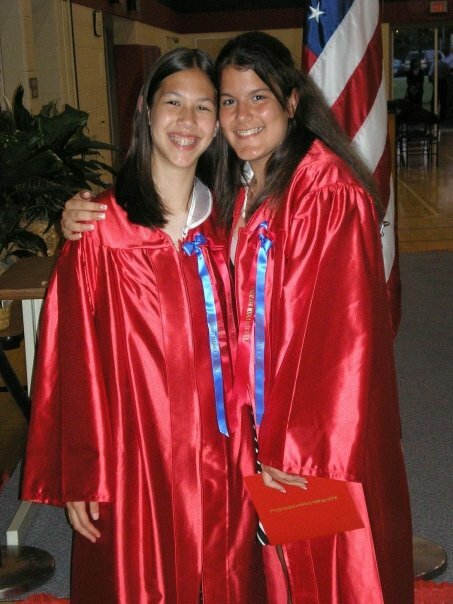 Stephanie Bergren was a distinguished scholar who graduated #1 in her class of 654 students at Maine South High School in Park Ridge, Illinois. Hillary Rodham Clinton had graduated from that same high school in 1965 (except Hillary wasn't #1 in her class). 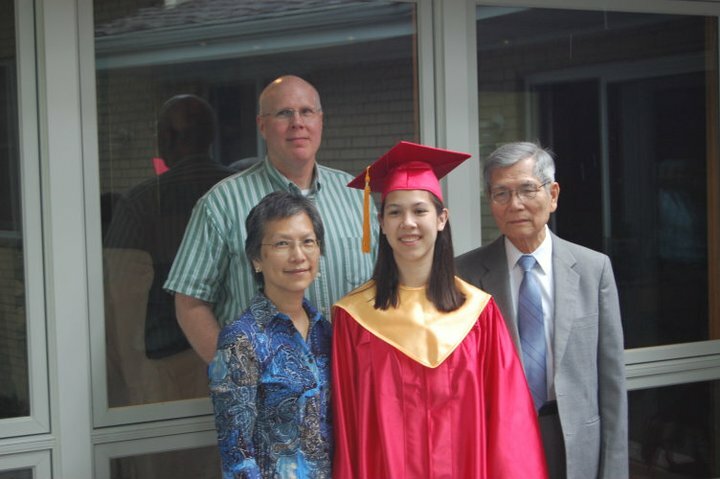 Stephanie continued her education as a student at Northwestern University, studying Asian Language and Civilization � Biological Anthropology. 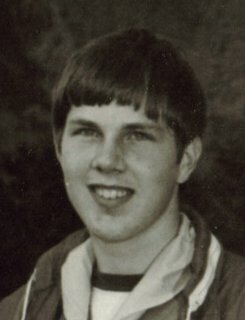 Kent Bergren died the morning of February 8, 2011, the 101st anniversary of the founding of the Boy Scouts of America. 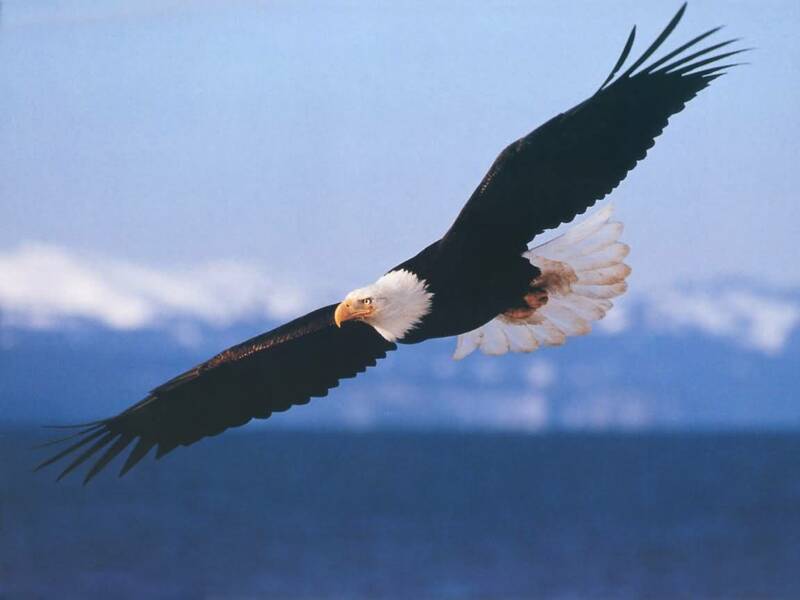 Kent is now an Eagle in eternal flight.